Edwin Foden was a gifted young engineer in Sandbach, Cheshire, producing steam engines in the 19th century. He had two sons, who both later came into the business, and two daughters, both of whose husbands also worked at Fodens. Edwin developed the design of his famous steam wagons, which brought wealth to the family. When his first wife died, Edwin married again, to a much younger woman, who also bore him two sons and two daughters. The two sons from his first marriage, Billy and ER, were running the firm efficiently by the time Edwin died in 1911. His widow, Annie Foden, like Queen Victoria, always wore black after the death of her husband, earning her the nickname Black Annie, and not just for her style of dress. She was the biggest shareholder in Fodens, so she and her spendthrift daughters enjoyed the benefits of large dividends. In the slump after the Great War all firms suffered, and Fodens was no exception, but Annie, who bore a vindictive dislike for all four children from her late husband’s first marriage, blamed them for her drop in income and made their lives unbearable. Billy emigrated to Australia, and ER was forced to retire early. Under Annie’s control the company lost its edge. Dennis, ER’s son, left Fodens to set up in competition as ERF, making diesel lorries, making his father head of the new firm. Foden was on the verge of collapse when Billy returned from Australia to the rescue. His sons and sons-in-law took up senior positions and they steered the company back into profit. As makers of diesel lorries, Fodens played their part in the Second World War, and saw many years of profit thereafter. The decline of the British truck industry in the 1970s, however, saw Fodens taken over by the American Paccar concern in 1980. 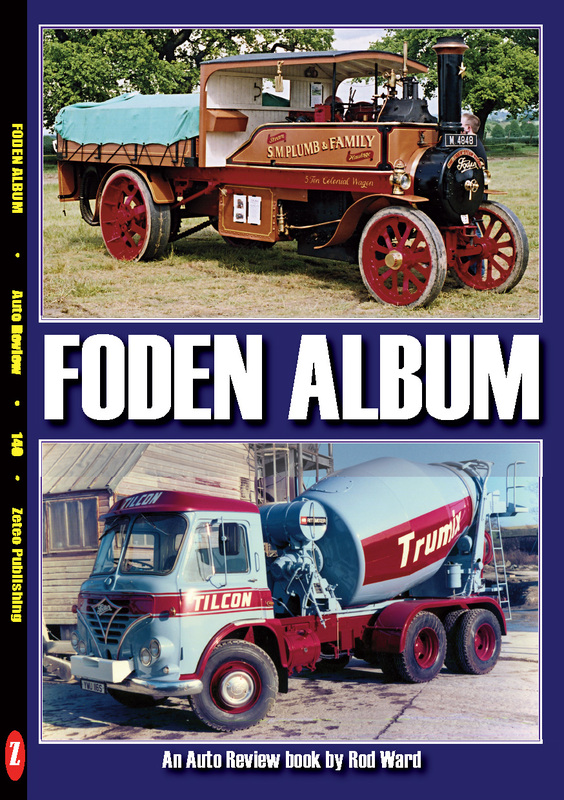 From that point onwards Fodens lost much of their individuality, the last Foden-badged lorries being little more than rebadged DAFs, built at the Leyland Assembly Plant. 2006 saw the last lorry produced with a Foden badge; after that the marque disappeared.